When any community—religious or otherwise—attempts to promote its agenda, the discussion always begins with an accounting of what makes their group special, or, alternatively, of what is wrong with all the other groups. Both approaches, whether self-praising or neighbor-bashing, represent the same lie: the deeply held human conviction that God shows partiality. In Mark, no one is good except God. In this light, the fact that Judas betrays Jesus should not come as a surprise. What is surprising, however, is who Judas represents in the story. 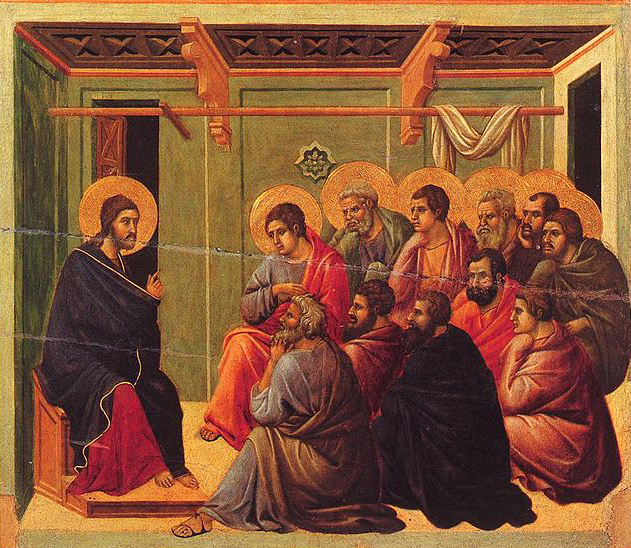 While everyone else is running around trying to convince everyone else that they are right and everyone else should listen to them, in Mark, as in all of Scripture, the biblical writer evangelizes, not by promoting himself or his religious community, but—pointedly—by proclaiming the sin and hypocrisy of himself and his people. You might ask, “is this approach practical?” Here’s your answer: you are listening to a podcast about the self-critique the biblical writers proposed over two thousand years ago and trying to figure out how this applies to your life. Do you think their approach worked? Richard and Fr. Marc discuss Mark 14:10-16. Great news about the new show.